In addition to numeracy and literacy, many of Manitoba’s First Nations schools have prioritized the need for the promotion of science and science related careers. Therefore, MFNERC continues to build and promote science planning and professional development with science fairs, land-based science projects and science mentorship. MFNERC’s science facilitators work with First Nations schools, teachers and students in a variety of ways. They assist science teachers through workshops, training, and resource creation. Additionally, they develop and host land-based education gatherings and provides other land-based programming for schools. Every year the science program team hosts the Manitoba First Nations Science Fair. 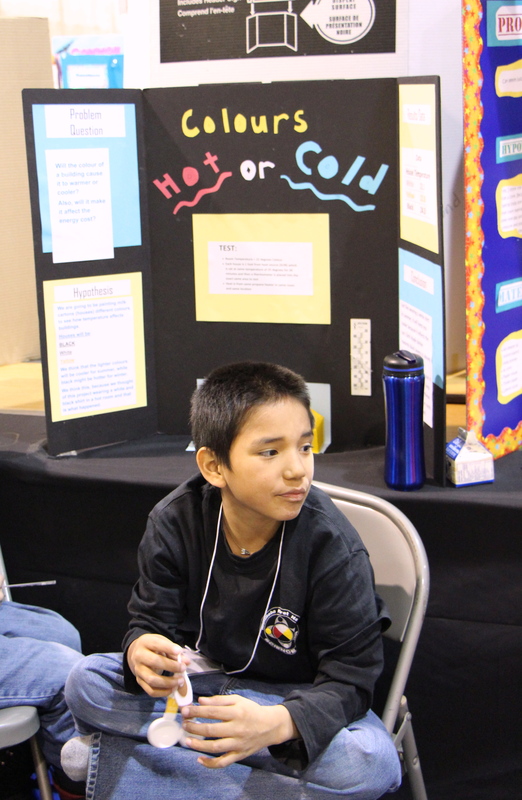 The science fair ensures an ongoing focus on science education within First Nations schools. As an extension of the Science Fair MFNERC has also developed the Senior High Science Symposium and Mentorship Program. This program offers senior high students and teachers the opportunity to work as research teams, with extensive mentorship from MFNERC’s science facilitators and professional scientists in the field, over a one to four year period. Particular focus is given to examining real world, community-based objectives from the students’ own environment. 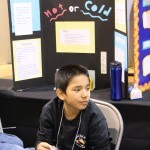 Every year the Manitoba First Nations Science Fair keeps growing. This year set a new record for student attendance and participation with 400 students from 31 schools exhibiting 240 projects. The Manitoba First Nations Education Resource Centre is proud of the First Nations students who represented the province at the Canada-wide science fair, held in Regina, May 15-20.